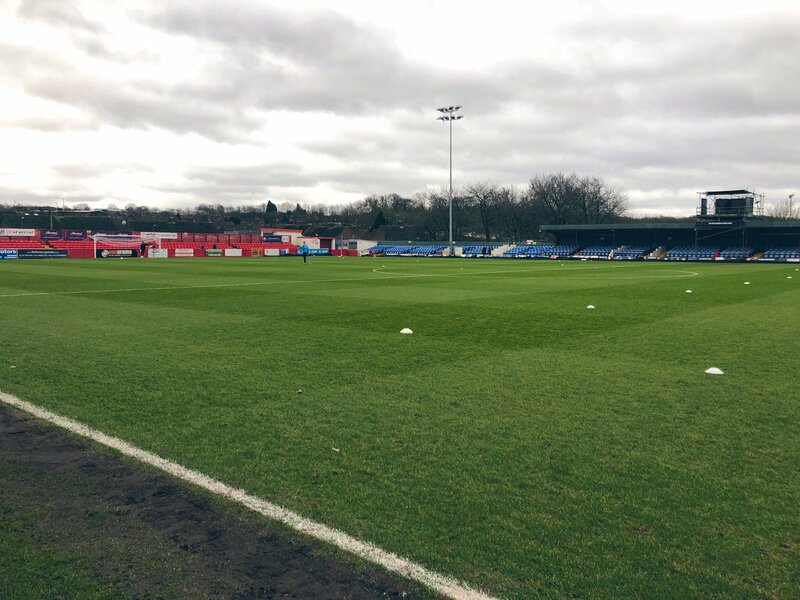 Alfreton Town host Brackley Town at the Impact Arena in the next round of fixtures in the National League North, looking to build on a current three game unbeaten run in the league; kick off is 3pm. After last Saturday's entertaining 0-0 stalemate against Darlington, the Reds will be looking to not only extend the unbeaten run in the league to four games, but also end the sequence of consecutive draws. The game with Darlington was a game of few clear cut chances but a contest which did present good sporadic openings throughout with Alfreton having the better of the first half and the Quakers on the front foot in the second. Chances went by for Richard Peniket and Tom Platt in the first half before Sam Ramsbottom produced several key saves in the second half to keep the scores level and in turn secure a much needed clean sheet for the Reds, our first since Boxing Day at Boston. Tomorrow afternoon presents another tough challenge but in turn another chance for the Reds to extend the current unbeaten run and also look for a welcome three points to push into the top half of the table. The Reds head into tomorrow's fixture having drawn the last three league games and have lost just once in the last six league outings (Southport 2-1). Alfreton are unbeaten in three at the Impact Arena in the league with the last three home games ending in draws (0-0, 1-1, 1-1). Visitors Brackley currently sit in 10th place in the league table with 36 points from 25 games. The Saints current playing record stands at: P25, W9, D9, L7. Brackley are unbeaten in their last five games in all competitions (four in the league) including winning their last two outings. The Saints haven't won away from home in their last four in the league (D2, L2), with their last away league win coming at Boston in late October. Brackley Town 3-1 Alfreton Town (Tuesday 7th August 2018) - Richard Peniket's second half strike proved a consolation in the second game of the season, as the Reds fell to a first league defeat of the season as Brackley eased to three points back in August.